A quiet month, after the frenetic activity of the July update, sees lots of small changes to matrices, tables and charts, but no single big update. This matrix has two values to display. 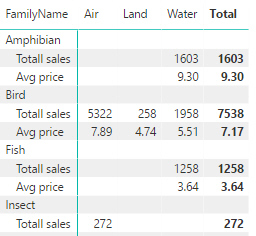 The value field names appear at the top of each column. 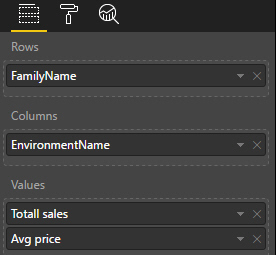 Set the Show on rows property to On to display values as row titles, not column titles. If you show multiple matrix values on rows, this is what you get. 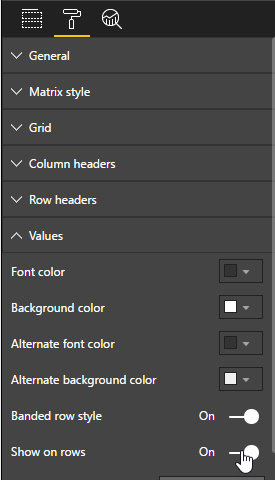 Remember the general rule for Power BI Desktop Updates - the longer the title, the less important the change!